I have been a long-time sceptic of the Occupy Wall Street movement–its reluctance to coalesce around any specific issues or solutions to said issues, its lack of structure, hierarchy, and organisation, and its fondness for Rousseauian direct democracy all have been and remain major turn-offs for me. There’s reason we remember Gandhi, Martin Luther King Jr., and Mandela; good protest movements require good leadership, specific goals, and specific means. However, I have discovered one strand of OWS that is not completely useless. In fact, it may provide an answer to one of the most serious problems afflicting our economy–high levels of household debt and governments unwilling to do anything about it. However, our GDP, our economic output, has continued to rise. So how have we managed to produce enough domestic demand to match our supply? 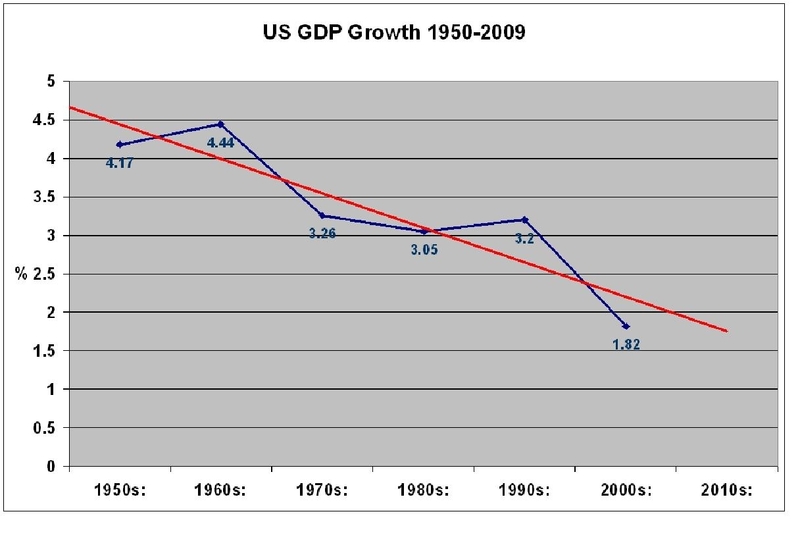 Why didn’t the economy just stop growing along with wages? The answer to that question is debt. Piles and piles of debt. Instead of increasing wages for workers so that they could afford to purchase the products of their labour, governments have simply loosened the regulations on loaning money and permitted vast swathes of society to become permanently indebted to bankers via mortgages and credit cards. In order for a loan to happen in the first place, not only must the debtor agree to take the money, the creditor must agree to lend it. A creditor who lends money to someone who cannot pay it back has made a bad business decision and also deserves to suffer some penalty, lest the system produce moral hazard. Considering that the majority of the population is indebted and that household debt as a whole is too high, we are no longer looking at a few individuals who have decided not to repay their debts, we are looking at a society in which everyone is trying to save money to repay debts at the same time, an impossible objective because your income is my spending and my spending is your income. However, given that the government buys into creditor ethics, the debt relief must come from elsewhere until the state realises it is in error. This is where OWS and the Rolling Jubilee come in. Rolling Jubilee plans to use charitable donations to buy distressed debts on the market–and cancel them. The thing that is most intriguing about the idea is that the debts of the most distressed individuals, those who have no chance of ever repaying the loans, are now extremely inexpensive and are sold for fractions of their value. Rolling Jubilee estimates that, with a mere $50,000, they can buy and cancel $1 million of household debt. Of course, with more money, more debt can be cancelled. This is a win-win for creditors and debtors–the creditors manage to get junk debt off their hands and get a small piece of their initial loan back, far more than they ever would have been likely to receive from the debtors, while the debtors are freed from the cloud of debt and can once again use their income to buy things rather than to repay old debts. Of course, the real, comprehensive solution, remains for the government to intervene with large-scale debt relief, for wages to rise across the board, and for the dependency on credit to be reduced to a more sustainable level, perhaps more in line with the fifties and sixties when economic growth was peaking. However, in the absence of that, it is sensible for private individuals to do what they can to help and, in the process, to raise awareness of the profound scourge that is household debt. It is in that spirit that I wish the Rolling Jubilee the very best of luck. Rolling Jubilee is a great idea! People helping out people just because we humans are all in this boat together. Not for profit. Not for fame. Just to relieve the suffering of someone we don’t even know personally…awesome! Definitely! My sentiments exactly, glad to hear you agree.